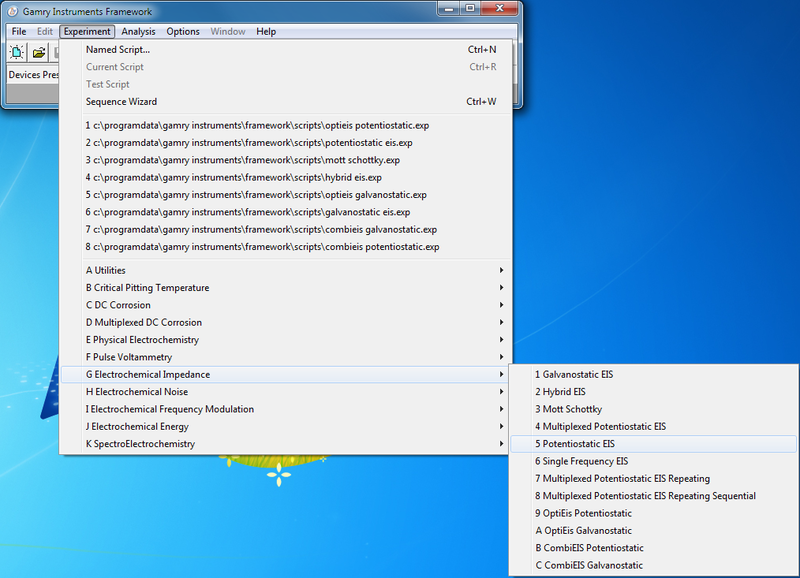 Choose Electrochemical Impedance on the Experiment pull-down menu. On the EIS child menu, select Potentiostatic EIS. This selects the standard EIS experiment.